There were 595 press releases posted in the last 24 hours and 153,538 in the last 365 days. Megs McLean and David Lee Murphy will be performing live for the US troops at Joint Base Lewis-McCord (JBLM) in Tacoma July 4th, 2018 on the main stage. 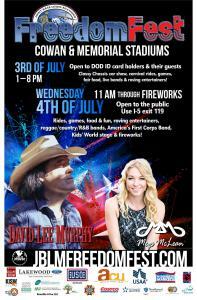 KENMORE, WASHINGTON, UNITED STATES, July 3, 2018 /EINPresswire.com/ -- The Founder of "Crunge" Megs McLean and David Lee Murphy will be performing at Joint Base Lewis-McCord (JBLM) in Tacoma July 4th, 2018 on the main stage. 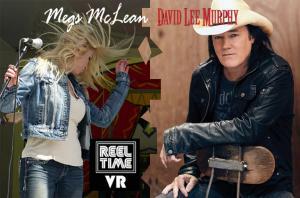 Megs will take the stage at 3:00pm followed by David Lee Murphy at 5:00pm. 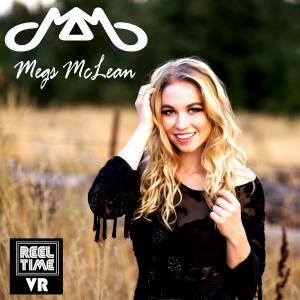 Megs is a singer, songwriter, and performer from Seattle who has been featured on MTV Live, Pure Country, VH1 Classic, and radio stations throughout the nation who has opened for Lorrie Morgan and Pam Tillis, played for Taylor Swift and Kenny Chesney audiences and headlined numerous festivals and events. Best known as the founder of “Crunge” a music genre that blends Country, Rock, and Grunge from Seattle, and for her breakout single “It’s My Truck”. 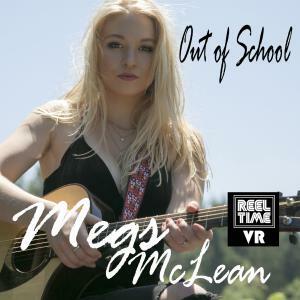 Megs will be performing songs from her recently released EP “Out of School” and her latest single “Don’t Speak”. David Lee Murphy is a million-selling country music singer and songwriter who is best known for his country No. 1 hit "Dust on the Bottle” and “Everything’s Gonna Be Alright” as well as the hit songs “Party Crowd”, "Out with a Bang", "Every Time I Get Around You", "The Road You Leave Behind", and "Loco". He has released five solo studio albums: “Out with a Bang” (1994), Getting Out the Good Stuff” (1996), “We Can't All Be Angels” (1997), “Tryin’ to Get There”, (2004) and “No Zip Code” (2018). His songs "Just Once" and "We Can't All Be Angels" appeared on the soundtracks of the films “8 seconds” (1994) and “Black Dog” (1998), respectively. Murphy took a hiatus from recording in 2004, and has co-written several singles for other artists, including the hits "Living in Fast Forward” " for Kenny Chesney, "Anywhere With You” for Jake Owen, "Big Green Tractor" for Jason Aldean and "Are You Gonna Kiss Me or Not" for Thomson Square. On April 6th, 2018, Murphy and Kenny Chesney released a studio album together, “No Zip Code”, which features their hit song "Everything’s Gonna Be Alright". Megs McLean and David Lee Murphy join a long list of top performers and who’s who in Hollywood celebrities who have entertained our troops. This tradition dates back to the early days when superstars such as Marlene Dietrich, Fred Astaire, Jack Benny, John Wayne, Roy Rogers and Elizabeth Taylor, to name just a few provided relief from the stressful job. But no celebrity became more associated with the military charity than the late comedian Bob Hope, whose annual Christmas special with frontline troops from Berlin to Saigon was a staple of American television for three decades. 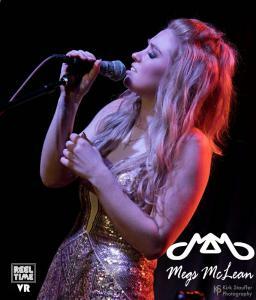 Megs McLean is a full-time professional singer/songwriter and performer who has opened for Lorrie Morgan and Pam Tillis, played for Taylor Swift and Kenny Chesney audiences and headlined numerous festivals and events, including the Hard Rock Café, Cabela’s, casino’s and bars and private parties throughout the northwest. She has performed Live on Fox 28 News, been featured on MTV Live, Pure Country, VH1 Classic and radio stations throughout the nation. Megs and her band deliver an energetic mix of guitar-driven “Crunge” Country Rock Grunge originals. Her First single “It’s My Truck” gained Megs recognition as one of the top 10 “Next Women of Country” on Spotify as well as “Country Pick of the Week”. Recorded at the world-famous London Bridge Studios in Shoreline, WA, with Ben Smith of "Heart" on the drums, Brad Smith from Blind Melon on Bass, and Shohei Ogami on guitar.